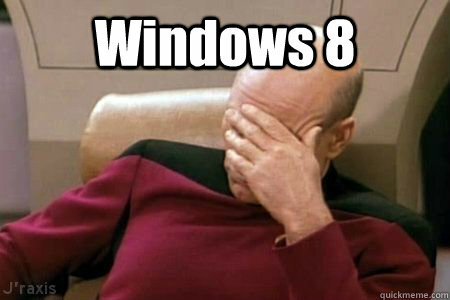 So last week my Windows 8.1 OS went through an update. After it finished updating itself I was not able to recieve any internet connection wifi or landline. When I checked my internet connection on the command line using ipconfig it said Media Disconnected. So in order to save someone out there frustration I am going to do a brief walk through on how I solved my problem. 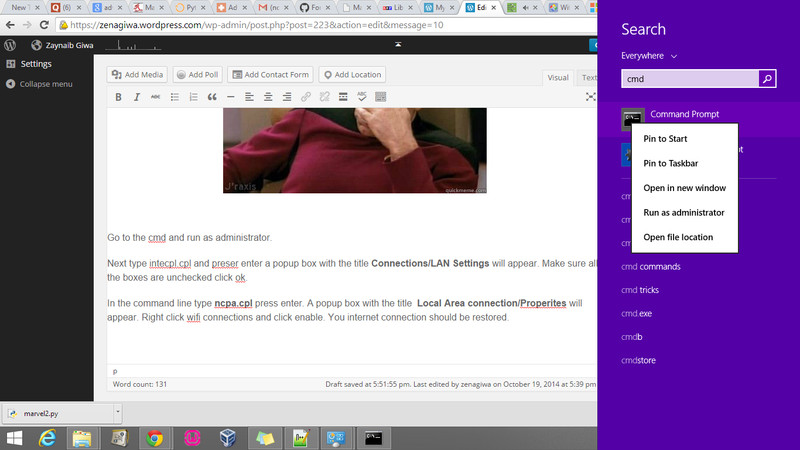 Go to the cmd right click and run as administrator. Next type inetcpl.cpl and preser enter a popup box with the title Connections will appear. 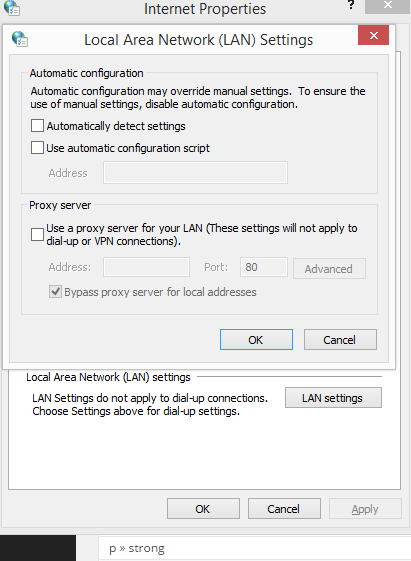 Go to the tab that says LAN Settings make sure all the boxes are unchecked click ok. In the command line type ncpa.cpl press enter. 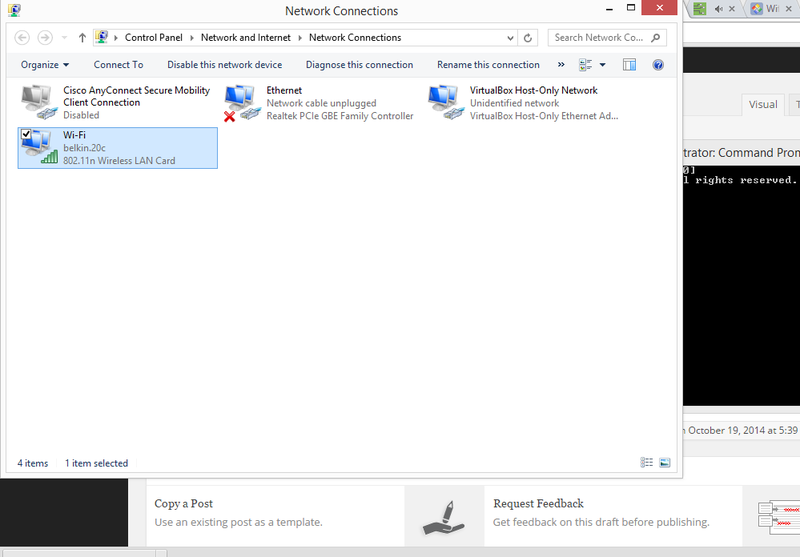 A popup box with the title Network Connections will appear right click wifi connections and click enable. You internet connection should be restored. None of that worked. My DNS server was locked into 8.8.8.8. 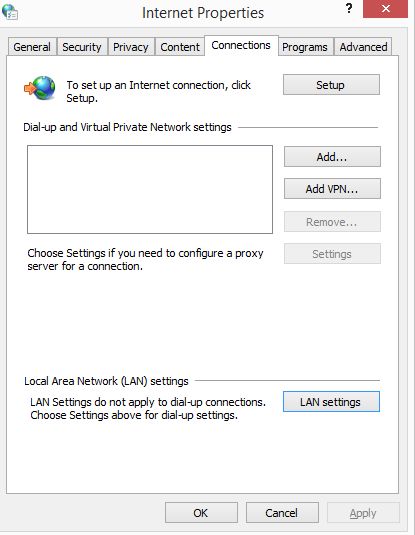 Once I cleared the manual preferred settings box in the TCP/IPV4 menu which was set to 8.8.8.8, and checked the obtain DNS server address automatically box it then got my DNS address correctly.